The new AFS strategy focuses on building a larger, more prepared and engaged community of responsible citizens to achieve our peace and justice mission. We are working even harder to ensure that these global citizens are prepared to lead, think critically and be comfortable communicating, collaborating and solving problems across cultural and other differences. AFS volunteers, alumni and staff worldwide combine their passion and professional skills to bring people together and use intercultural understanding to address society’s greatest challenges. See some of the highlighted initiatives below! AFS volunteers, alumni and staff leverage their intercultural skills and strategic partnerships to help the world learn to live together. Scholarships, outreach and advocacy ensure that more people from diverse and underserved communities participate in and benefit from AFS programs and initiatives. 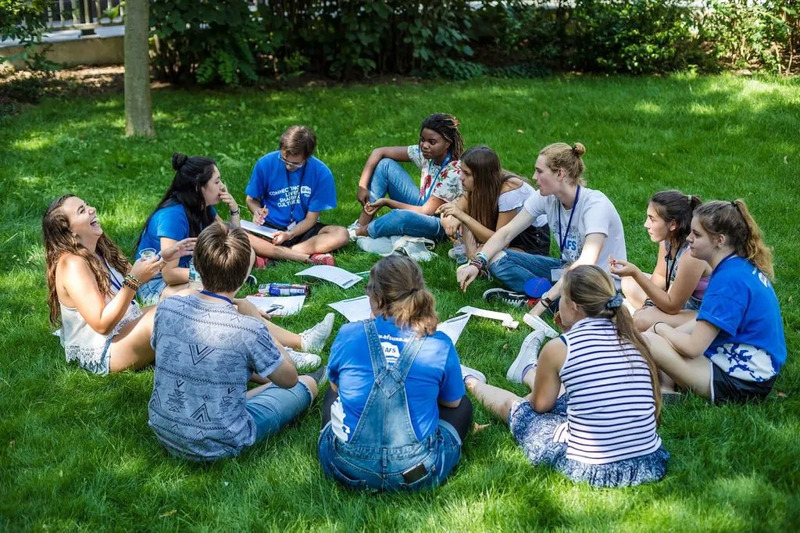 More than 12,000 young people begin their transformative journey toward global competence in AFS Programs every year, gaining an appreciation for the world beyond their own. Diversifying our programs to meet the interests and needs of these Generation Z teens and Millennial young adults has resulted in a dynamic portfolio of more relevant content, new program formats and strategic partnerships. 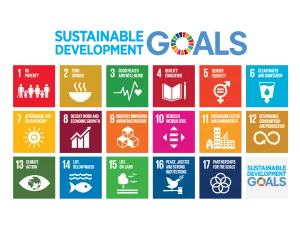 Over the next few years, more programs will include preparation and direct experiences in changemaking and social impact projects—important exposure for developing active global citizens. The AFS Galatti Award recognizes AFS volunteers whose long-time commitment, dedication and exceptional journey with the organization have advanced the AFS mission. The Peggy and Art Howe Award goes to the outstanding service of AFS volunteer families. What’s driving Generation Z students in 35 countries to consider leaving home to study abroad? Cultural exploration and English-speaking destinations, according to a first-of-its-kind AFS study, Mapping Generation Z: Attitudes Toward International Education Programs. This 2017 global study, which polled more than 10,000 students, ages 13-18 worldwide, has sparked an industry-wide focus on how the current generation of high school students feels about immersing themselves in drastically different cultures than their own. Key findings of the report were presented at six international conferences, showcasing how educational organizations can adjust their approach to cater to changing student motivations in our increasingly turbulent times. Thank you to all our generous donors and sponsors for their commitment to advance intercultural understanding. Your scholarship donations and sponsorships funded many of the events and projects featured in this year’s Annual Report. We are especially grateful to long-time supporters like the Hong Kong and Shanghai Banking Corporation Limited (HSBC). Since 1988, HSBC has sponsored nearly 300 children of its employees in Hong Kong to participate in AFS study abroad programs. This program has enhanced employee morale, helped retain talented employees, improved company culture, and provided employee families with incentives to remain actively and fully engaged with HSBC. This scholarship program was replicated in other countries. 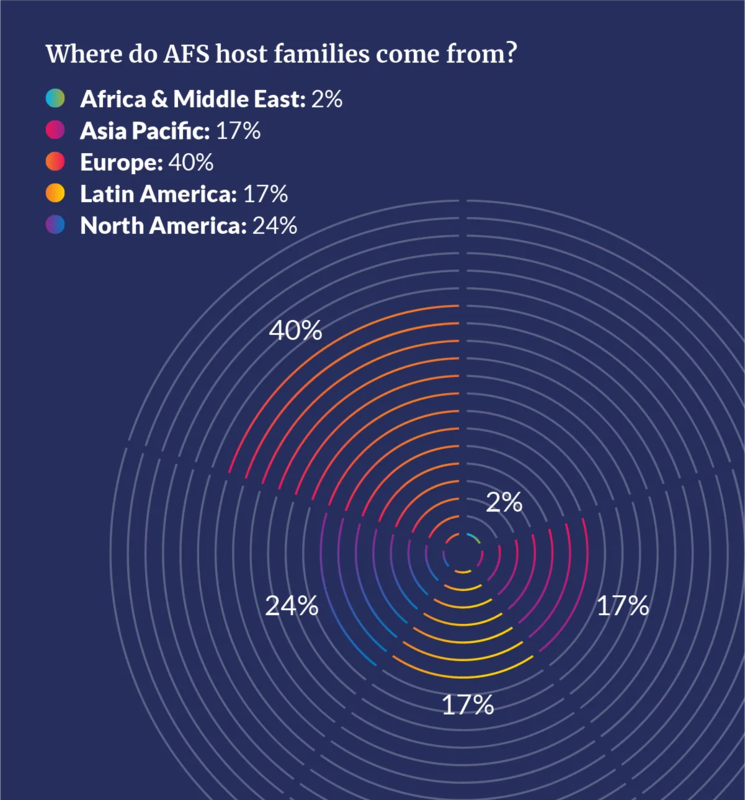 “For 30 years, AFS has provided a variety of unique opportunities for hundreds of children of HSBC employees to live and study overseas. We watched them grow into confident, resilient, mature and culturally aware young adults—some of the very qualities that HSBC values in our people,” says Steven Travis, HSBC Chief Administration Officer. Governments connect with AFS for innovative solutions to intriguing challenges. When Tokyo wanted to “internationalize” the city in preparation for the 2020 Summer Olympics, the city’s Metropolitan Board of Education turned to AFS Japan for a creative solution. Mobilizing the AFS organizations in Australia, Canada, New Zealand, Thailand and the United States, AFS Japan placed 80 international students in public high schools in Tokyo to help globalize Japanese public schools. AFS Japan has also been selected by Japan’s Ministry of Education, Culture, Sports, Science and Technology (MEXT) to implement the new Kakehashi (Japanese for “building bridges”) scholarship program for 1,000 high school students focused on facilitating intercultural exchange and understanding between teenagers in Japan and 20 other Asian countries. 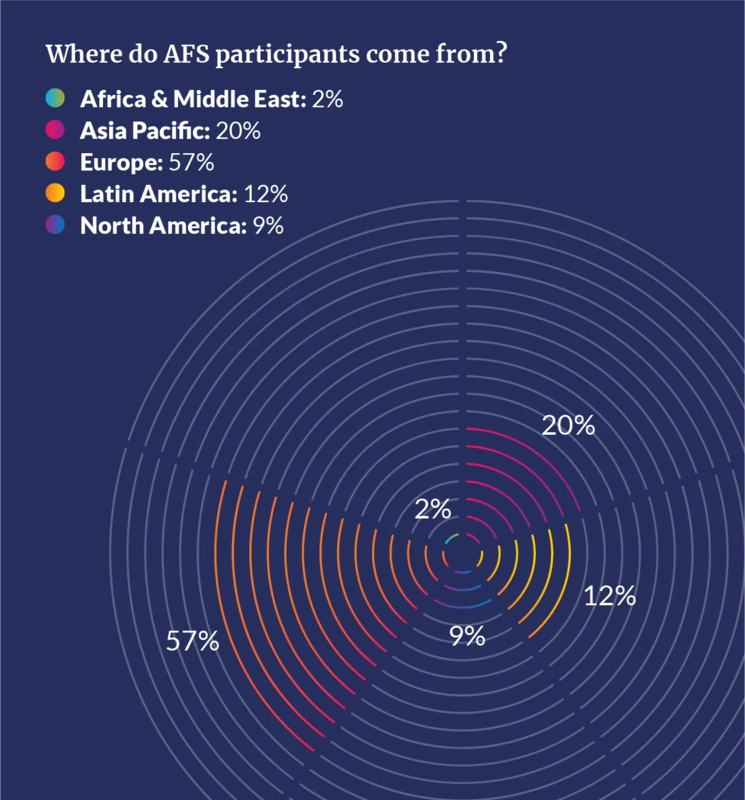 When you donate to AFS you become part of a global community of supporters of AFS in our work to connect lives and share cultures. 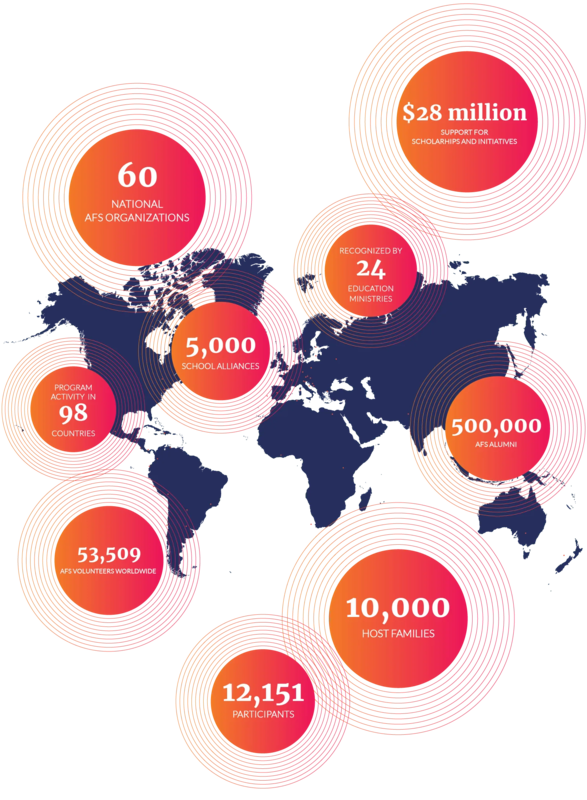 Your donation will help to transform the lives of millions of AFS participants, families, schools and individuals that share a commitment to help build international understanding by helping people from different parts of the world live an intercultural learning experience. Get your own copy of the 2017 AFS Annual Report. Click the link below for a PDF version.